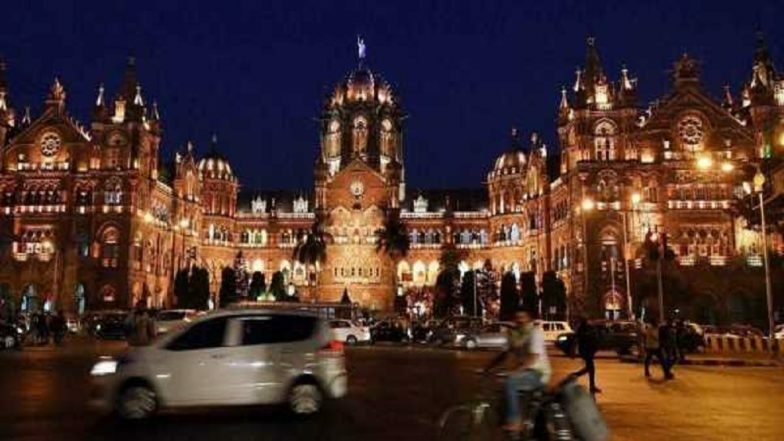 Mumbai, April 16: The busiest railway station in Mumbai- the Chhatrapati Shivaji Maharaj Terminus (CSMT) is all set to be declared a 'no beggar- no hawker' railway station from 1st May 2019. As part of the Central Railway’s campaign to create model stations across the country, the CSMT railway station on the Central Line, will soon become a no crime, no begging zone. As the station is a UNESCO World Heritage site and the headquarters of the Central Railway, the railway station is going to be the first station in India to achieve the no hawking, no crime and no begging tag. World Heritage Day 2018: Know Importance of UNESCO 36 Heritage Sites in India. According to reports, a team of special officials has been formed to work 24×7 which will be monitored through CCTV surveillance at the station premises. The team will be seen in normal clothes (not in RPF uniform) tracking down drug addicts and train bullies. BMC Vows Action Against Abandoned Vehicles Creating Traffic Menace in Mumbai. As part of the ‘no crime-no begging-no hawking campaign’ by the Central Railway, the Railway Protection Force (RPF) and the Government Railway Police (GRP) to ensure that no passenger should get away with bullying co-passengers by blocking the doors and cornering seats by spreading/throwing towels. CSMT Area in Mumbai to be Revamped on Lines of 'New York's Times Square'. The officials have been asked to take preventive steps and ensure that no encroachment is done on ladies’ coaches and compartments reserved for the physically-challenged. The report adds that the officials have been asked to ensure complete eradication of hawking from the station premises and remove all touts from the premises of the CSMT station. The report further adds that the number of pick-pocketing incidences has gone up to eight from six in a day at the CSMT railway station. Moreover, from January 2019 to March 2019, at least nine cases of robbery including 400 cases of theft and a case of passengers being drugged, assaulted, molested and kidnapped were reported, the report added. Assistant Security Commissioner (Central Railway) NN Sai Prasad, who is part of the Central Railway’s drive, was quoted in the Mumbai Mirror report saying that, the RPF will be heavily involved along with GRP and the teams in-charge of round-the-clock surveillance will undergo rigorous training.